If you train a child in taking shelter of Krishna then that will become nature of child. Digital games on PC create violence and hatred in children. 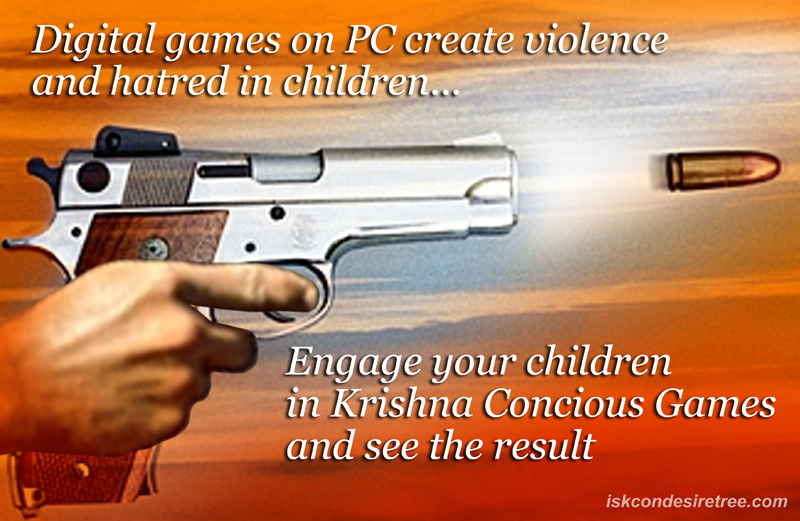 Engage your children in Krishna Conscious Games and see the result. 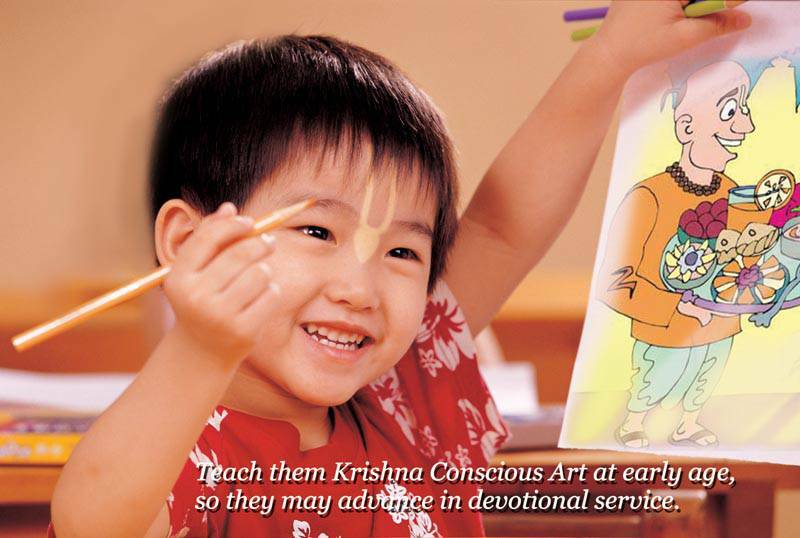 Teach them Krishna Conscious Art at early age, so they may advance in devotional Service. Parents teach their children using technology at an early age, similarly, Krishna consciousness should also start at an early age. Children are a blank slate. You can mould them as you like & they are eager to learn. 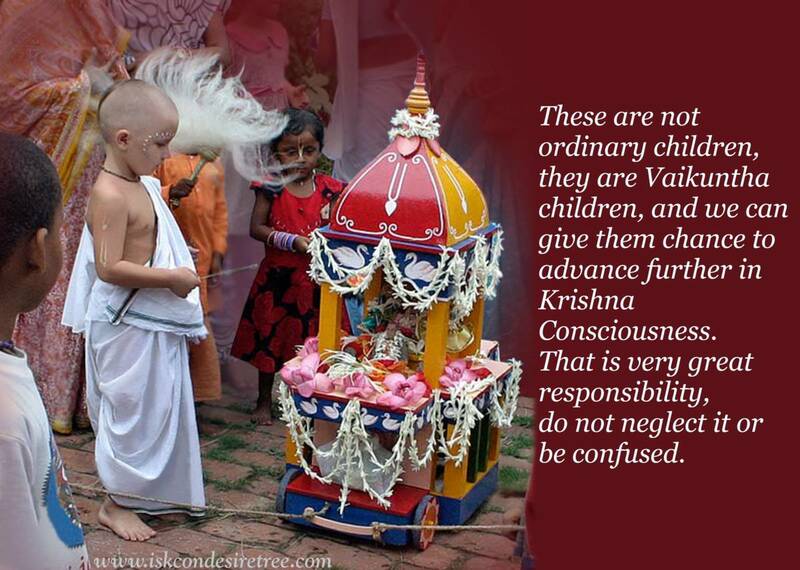 These are not ordinary children, they are Vaikuntha children and we can give them chance to advance further in Krishna consciousness. That is very great responsiblity, do not neglect it or be confused.